Ahhh, Bermuda Bay is the essential color of summer and I LOVE both the color AND this new stamp, Medallion. 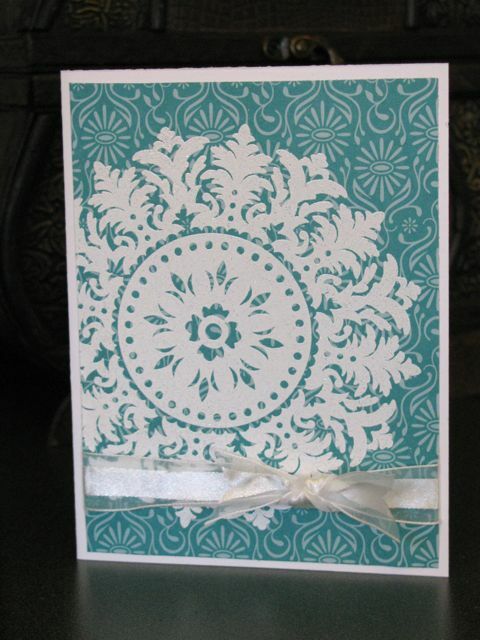 I tried putting a greeting on it, but it just doesn’t need it 🙂 The Bermuda Bay patterned paper is found in the “Thoroughly Modern” Designer Series Paper package. Simple? Yes. Beautiful? Definitely.